Regular Mani : includes nail trim, shaping cuticle grooming, 5 minute massage with perfectly applied polish of your choice. Regular pedi: Includes Mineral salt soak, nail trim, shaping, cuticle grooming, hot towel and perfectly applied polish of your choice. Must call make an appointment and mention the deal. Deal expires 7 days after you received it. 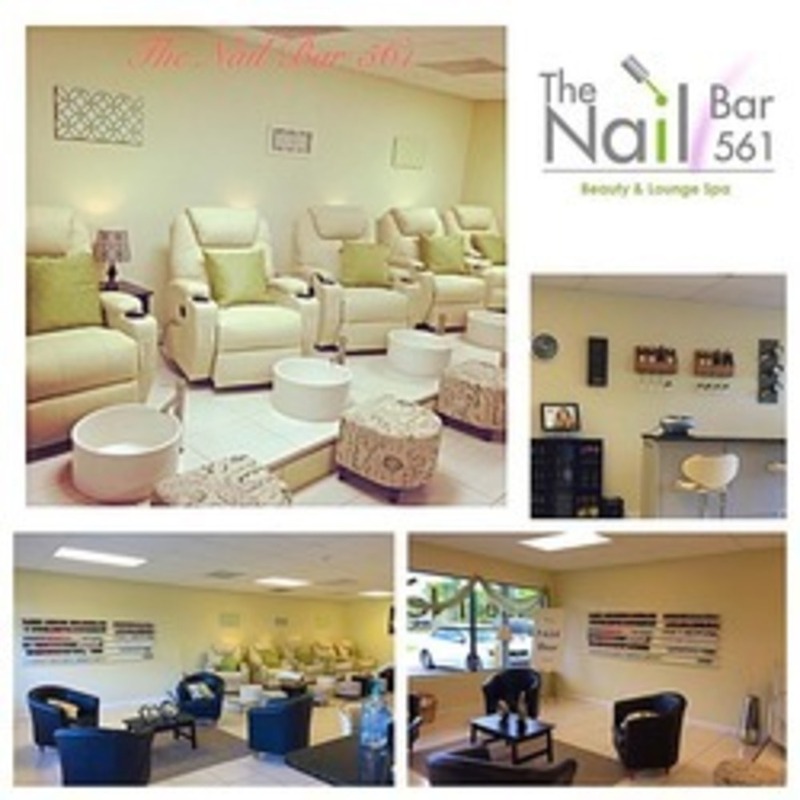 Business description: At The Nail Bar 561, we want your nails to be healthy and beautiful. Our salon provides a cozy environment, top hygiene and the latest in cosmetic nail care services. Allow us to surround you with luxury and pamper you in our plush salon. The Nail Bar 561 provides a comfortable escape from the troubles of everyday life. Our nail and beauty technicians are not only good at what they do, they are trained and certified in all aspects of hygiene. And they're friendly, too! Have a look through our website to learn more about us and our team.